The words â€œTexasâ€ and â€œcandyâ€ were not two associations I considered before I moved to the Lone Star state. I mean, what in Texas could possibly scream candy? To my surprise, a lot. Texas happens to be the home of many candy companies, and what is even more interesting is that they are smitten with flavors particular to the proclivities of the Southwest. Not being a native, I found it refreshing getting a taste of pecans (south), coconut (west), and peanut butter (south again) in many local candies, all flavors I now consider indigenous to the area. The most storied of these companies is easily Atkinsonâ€™s Candy Co., best known for their most popular product, the Chick-o-Stick. While the Chick-o-Stick is stocked in candy aisles across the country, and despite the majority of their other products existing from the 1940s and on, they are regional in their distribution, and I never encountered the company until my move. When I started asking people what candy I should try out here, one name kept popping up: Atkinsonâ€™s Peanut Butter Bars. 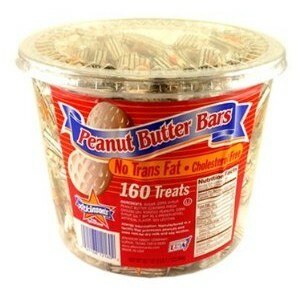 I have nothing against peanut butter, but an entire bar of it? Luckily, it’s more than just peanut butter. Complementing the peanut butter in this candy is a honeycomb center and hard candy jacket. So the next time I was at a gas station, I bought a handful of them from a penny candy jar. The shape of the bar is very much like your miniature version of chocolate bars – small and rectangular. I take a whiff and I get an aroma of waxy peanut butter infiltrating my nostrils. I then stare at the white shell that enrobes it, wondering what the hard candy shell really is. Regardless of the smell and the mysterious coat, the taste of these babies more than satisfies. Itâ€™s fantastic. The bite has a nice snap, crispy, and tastes of toasted peanut butter, and yet it avoids being sticky or grainy. Like its Chick-o-Stick cousin, I get hints of coconut in it, coupled with a surprising sweetness from both the honeycomb and shell and a milkiness I donâ€™t normally find in peanut butter candies that do not use chocolate. These are exactly what should go inside of a Butterfinger. For people who like the idea of a Chick-o-Stick, but hate coconut, you will enjoy this product because you get essentially the same thing without the flaky fiend. But, regardless of whether or not you like coconut (or even peanut butter, for that matter), I still think you will like them. They seem to defy any specific candy categorization and are loved by nearly everyone I speak to. Now that I have tried one, I know they’re loved for good reason! I’ve had these and LOVE them! The only thing I don’t like is that they kinda get stuck in my teeth. But the taste is fabulous. Great review! My dad introduced these to me! In fact, I just got a big bag of them from him as a Halloween treat! I LOVE them. Love, love, love them! I agree, they stick in my teeth, but I SOOOO don’t mind. 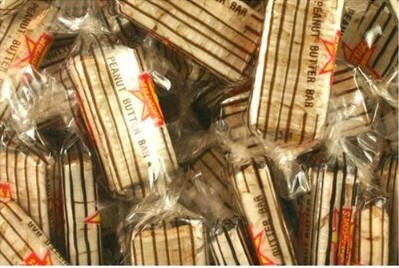 These are one of those old standby candies for me. You know, one of those treats you don’t buy very often, but is always there waiting for you when you want something familiar? The first time I ever had one was out of one of those little candy crane machines at a local arcade. Just one and I was a fan for life! Chick-o-Sticks are good, but Peanut Butter Bars are great!